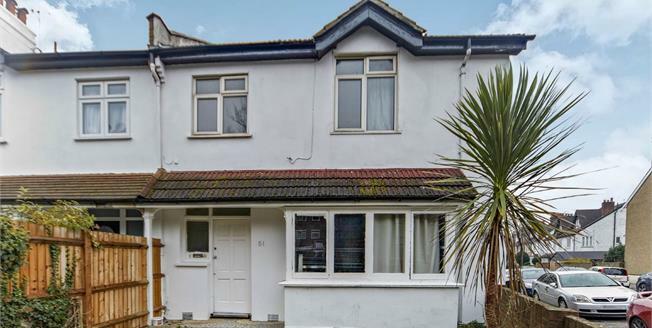 This large character conversion flat has accommodation arranged on two floors and briefly comprises communal entrance and stairs to the first floor, entrance hall, living room, fitted kitchen, two bedrooms and bathroom, stairs to second floor, large third bedroom/studio room with en suite bathroom. Outside there is a garage at the the rear with access from the side road. There is no onward chain.